I am an avid gum chewer. I can go through a pack of gum like nobody's business. I get bored, or the flavor doesn't last very long, or I simply want a new piece. Either way, I chew a lot of gum. I discovered Glee Gum while looking through candy stores online and decided to give it a shot. Those lovely people at Glee Gum sent me the Assorted Flavor Medley so I could enjoy all the flavors that they have to offer. While I haven't tried them all yet, all the ones I have tasted have been incredible! The flavor lasts for a long time. To give you an example, I'm chewing the "Bubble Gum" flavor, and have been for over an hour - and it still has flavor! You've got a fan in me, Glee Gum! There are also many ways to get your Glee. 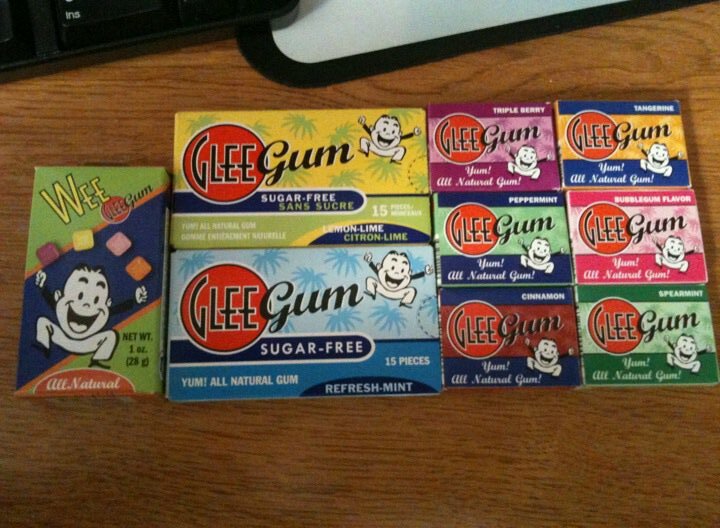 Glee Gum is available in boxes, mini boxes, Wee Glee (mini gum) & in bulk. You can even order a Variety Pack! Make Your Own Chocolate - Made not by melting chocolate but by starting from scratch with cocoa butter & cocoa powder. Includes story about origin & development of Chocolate. Makes 20 chocolates. 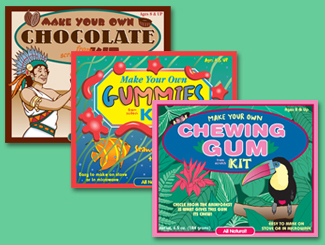 Make Your Own Gum - All ingredients included, even the pan. 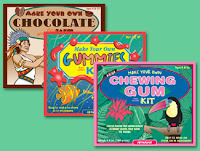 Includes story about rainforest products, resources & chicle. Makes 50 sticks of gum. Make Your Own Gummies - Made with all natural ingredients (such as carrageenan & agar which are found in seaweed). Includes story about the world's oceans and people who grow seaweed. At only $13 per kit, you can't go wrong. Ordering is simple! 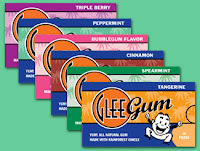 Just Order Online or use the handy Store Locator to find Glee Gum near you! Glee Gum is all natural, & eco friendly. It is made in the USA with no artificial colors, preservatives, flavors or sweeteners. It is gluten, dairy and nut free. It is also made with Chicle, which helps conserve the Rain Forest. Glee Gum is also a member of "1% For The Planet" & certified by the Vegetarian Society. Want to learn more about Glee Gum? There are many ways to do just that! Like them on Facebook, follow them on Twitter, sign up for the Newsletter or read the Glee Gum Blog! You can also read about how Glee Gum wants to help better education as well as the Glee Gum History - "From Tree To Glee"! One lucky Fashion In The Forest winner will receive a Mini Glee Variety Pack & some Glee Gum coupons! Please make sure to leave a comment for each entry! CONTEST ENDS ON April 29th, 2011.